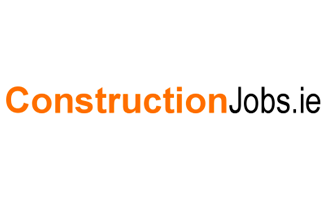 Construction Jobs is an online portal for jobs in the construction sector. Construction Jobs displays jobs in many sectors across the globe and has earned a reputation for quality jobs with quality companies. While we had been working with Construction Jobs for a number of years and had worked very closely with Paraic and Derek, the owners and Kevin the developer. The economic crash and subsequent downturn in the construction sector meant Construction Jobs needed to change its focus and fast. The work to date had been focused on Ireland and Irish people and now we needed to look beyond our shores. Construction Jobs had been short listed at the Eircom Spider Awards for their business model and effective website but the demand for their services locally was in decline. Irish multinationals and recruitment companies still needed staff in the Middle East and Australia but the numbers were small. Construction Jobs needed to develop business outside its current clientele. .ie became .com/.co.uk/.com.au etc. The site became a global site with global jobs. Sales focused on jobs from Dubai in Dubai, or jobs in Sydney. It was no longer just about Irish recruiters, it was local or international recruiters looking for positions in international locations. We built specialist sites like constructionjobsdubai and energyjobs to target sectors and locations where we thought we could get jobs. Kevin from Solomon Solutions built the sites and we optimised them for SEO. We engaged a writer – Robbie Cousins to develop targeted content for Google and to broadcast through social media, blogs, partner blogs and news sites. We wanted the focus to be global and no longer just about Ireland. 80% Irish 20% international became 20% Irish and 80% international in terms of visitors and more and more international recruiters were dealing online to post jobs on the sites. It was a panic, backs against the wall experience but one that taught us a lot about the power of search engine marketing, targeting distinct markets and developing relationships that we never thought possible.